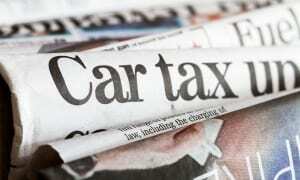 Dirtiest & Cleanest Carmakers: UK's Most Polluting Car Brands Revealed - Which? Diesel cars from Dacia, Jeep and Renault are among the highest NOx producers in Which? 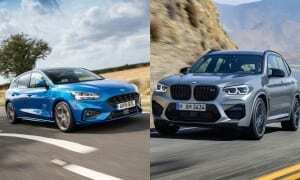 tests; BMW, Mini and Toyota are among the cleanest. 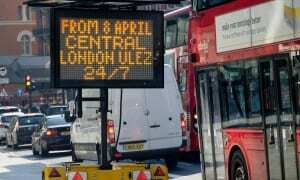 Air pollution is a very real problem in the UK; it only took five days for Brixton Road in London to break its NO2 (nitrogen dioxide) limit for the entire of 2017. While the precise number of fatalities from air pollution is a very difficult figure to pin down (although estimates range up to 40,000 deaths per year in the UK), what we do know is that high-pollution days coincide with a higher rate of hospital admissions and premature death. What might surprise you is that our unique testing has revealed there is no strong link between the level of emissions your car creates and its MPG (fuel economy). We’ve even found hybrids that produce high levels of toxic emissions. Which? is taking a stance against high-polluting cars. Any vehicle that produces a lot of toxic emissions in our tests can't be a Best Buy. Find a motor vehicle you love by heading to our round-up of the best cars. Diesel cars are very much in the spotlight for the emissions they produce, namely NO2 – nitrogen dioxide. NO2 is toxic to humans, and one of the gasses within NOx (oxides of nitrogen). Nitrogen dioxide, one of the NOx gases, is thought to inflame your airways. It has been linked to increased hospital admissions and premature death. All cars have to adhere to exactly the same emission limits, regardless of size or shape. So you might expect all diesel cars to be as bad each other – but our tests show huge differences between different brands of cars. Our emission tests are more realistic than the official ones. This is because the current official tests are based on the outdated and soon to be replaced NEDC cycle, which doesn’t really strain the vehicle being tested. The official rules are also lax and allow for numerous loopholes to be exploited by manufacturers, such as running the car in eco-mode, turning off air-con and over-inflating tyres. By comparison, Which? tests use much more realistic cycles, including the more strenuous WLTP cycle and a motorway cycle where the car is accelerated to and then sustains motorway speeds. You can find out more about the differences between official and Which? tests by going to how we test mpg and emissions. As part of our emission tests, we measure how much NOx is produced. In the graphics below, you’ll find brand averages for the diesel cars tested between 2012 and 2016. These are divided into cars that either officially meet the older and slightly more lax Euro 5 emission limits or the newer, more stringent Euro 6 emission limits. Cars that meet the Euro 6 emission limits should be the cleanest cars you can buy. But as you can see from our test results, the NOx emissions from the car brands varies enormously. Scroll down to read our analysis of each brand. All of the test results here refer to cars tested under our 2012-2016 test programme. For brands on which we’ve collected data for both Euro 5 and Euro 6 diesel cars, Renault is the biggest polluter in our tests. Not only are its cars among the biggest NOx emitters, despite passing official tests, but from the 16 diesel Renault cars we’ve tested, there is very little difference between the averages of its Euro 5 and Euro 6 cars. Despite the latter officially complying with stricter, leaner NOx limits. In our tests, Renault's newer Euro 6 diesels are, on average, dirtier than the averages of Euro 5 diesel cars from other brands. In fact, Renault’s newer Euro 6 diesels are, on average, dirtier than the averages of Euro 5 diesel cars from other brands. The two Euro 6 Dacia cars we tested proved to have comparably high NOx emissions to Renault. Which may not be a coincidence, as Dacia is owned by Renault. Renault also has a strategic partnership with Nissan. We’ve tested six Nissans with Euro 5 diesel engines and found them to have the second-highest NOx average across the board. The brand that broke the scale is Jeep. The two Euro 5 cars we’ve tested manage to emit, on average, nine-and-a-half times the Euro 5 limit they met in official tests. The brands listed above produce the diesel cars with the highest average NOx emissions in our tough tests. If you'd rather see which individual models produce the most NOx, see our highest NOx cars page. The 33 BMW and BMW-owned Mini cars we’ve tested have some of the lowest NOx averages for diesel cars. This is reassuring - the BMW 3 Series was the ninth most-sold diesel car of 2016, according to data from the Society of Motor Manufacturers and Traders (SMMT). It's worth noting, however, that the five-door Mini hatchback is among the very few petrol cars we’ve found to produce a high amount of NOx (for a petrol car). Toyota diesel cars also have reasonably low NOx emissions. Mainstream VW Group cars (VW, Audi, Seat and Skoda) have some of the lowest NOx averages in our tests. But having been proved to have a defeat device in its Euro 5 cars, a question mark remains over these results. We recorded a (comparatively) low NOx average across the seven Euro 5 Volvo cars we’ve tested. But the four Euro 6 Volvo cars we tested actually emit more NOx on average than its Euro 5 vehicles. Our tests show NOx emissions from Ford diesel cars are quite high, based on the 12 models we’ve tested. However, the impact of the brand might possibly be greater than others, as it’s the most popular carmaker in the UK. Nearly 12% of all new cars sold during 2016 were Fords, according to SMMT data. While this figure partly comes from sales of the Ford Fiesta – the bestselling model in the UK (and overwhelmingly sold with petrol engines) – Ford still sells two of the ten most-sold diesel cars in the UK, the Focus and the Kuga. NO2 Nitrogen dioxide, one of the NOx gases, is thought to inflame your airways. PM Particulate matter is comprised of a complex airborne array of solid and liquid particles. Some are small enough to settle in your airways and lungs. Both NO2 and PM have been linked to increased hospital admissions and premature death. CO Carbon monoxide in high concentrations in enclosed areas can be fatal. But outdoors it’s thought that CO from cars is not currently a risk to health. CO2 Carbon dioxide is a greenhouse gas that contributes to global warming. 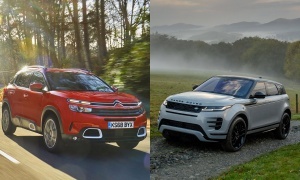 Euro 1, Euro2 - what are the emission limits? 'Euro 1' came into force for all cars in January 1993. It specified limits that cars had to meet. In January 1997, Euro 2 replaced it with progressively tougher (lower) limits. It may surprise you that our testing data has revealed there is no strong link between the level of emissions your car creates and its MPG (fuel economy). We’ve even found hybrids that produce high levels of toxic emissions. If getting a good fuel economy is your top concern, use our car reviews to find a model that excels in our fuel economy tests.